In part one of our closer look at some of the adjunct therapies employed by our hygienists, we looked at laser treatment and chlosite treatment. In this second part, we’ll be focussing on AirFlow stain removal – a teeth polishing technique that removes dental plaque and also any unsightly stains caused by our consumption habits. The AirFlow polishing technique combines a stream of water with compressed air and sodium bicarbonate. The jet of aerated water and mildly abrasive particulates will gently clean and polish the tooth. Removing bacteria-harbouring plaque to keep your teeth and gums healthy is the primary objective of the treatment, but it also has a whitening effect as AirFlow will remove stains from the teeth. Some foods and drinks can stain your teeth if consumed frequently. Coffee, tea and red wine are perhaps the most famous culprits, but berries, beetroot, fruit juices and some condiments such as balsamic vinegar and soy sauce can also stain your teeth. No. Whitening procedures generally use a light bleaching agent to chemically whiten your teeth. AirFlow treatment provides a deep clean that will remove stains and restore a natural whiteness to your teeth – but it will not dye your teeth a brighter shade of white. Who is a suitable patient for AirFlow tooth polishing? We recommend this adjunct therapy to all patients who are having implant treatments and periodontal work performed. 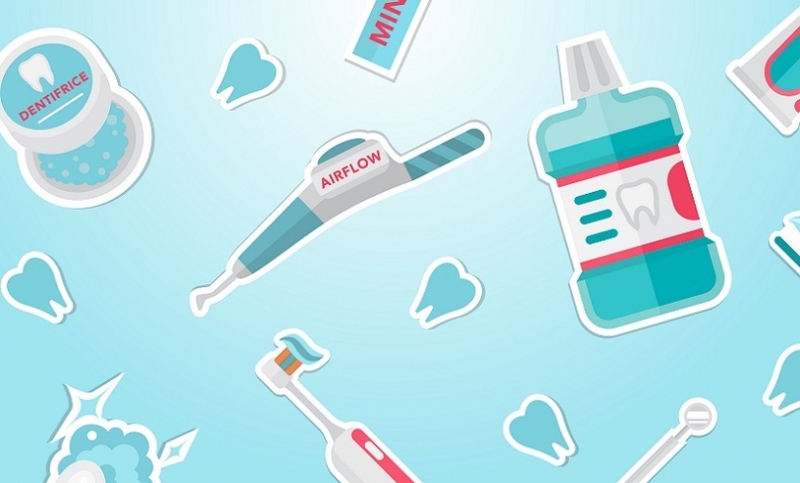 An AirFlow polish will remove bacteria and endotoxins that could infect the site of any dental surgery that is to take place. The service is also available for those who just wish to have unsightly stains removed. If you would like to know more about any of the adjunct therapies and services offered by our hygienists, please don’t hesitate to get in touch. Call our reception on 01603 632525. For regular updates about our practice and services, follow us on Facebook.